Bathinda is an upcoming industrial city which is connected with all the major cities of the country and abroad. The city is also expanding at the great rate, with all the industries, malls and the other places which are coming up. In addition to that, it is one of the oldest cities in the country, where today also you can see the relics of the glorious past. Due to this fact, people from all over the country and abroad visit the city for business and pleasure. 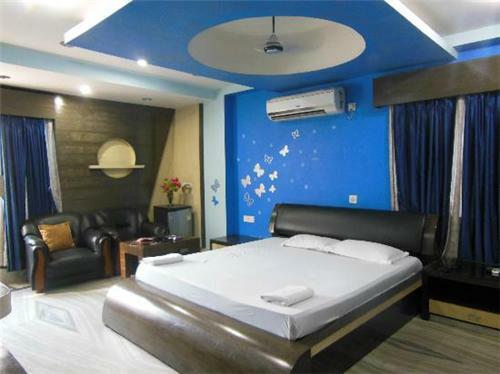 Due to the increasing demand of the accommodation by the business class travelers and the visitors, the people of Bathinda have established 3 star luxurious hotels in city. Here, in this article, we have provided some information about these hotels. The Comfort Inn Tulip Heights is located in a very beautiful area of Bathinda. It is located at the Mittal City Mall which is at Guniana Road. The place is located near 3 man-made lakes and Rose Garden Complex. The hotel provides various types of rooms which range from deluxe rooms, Executive Rooms, Twin bed executive rooms and suites for their guests as per the choice. 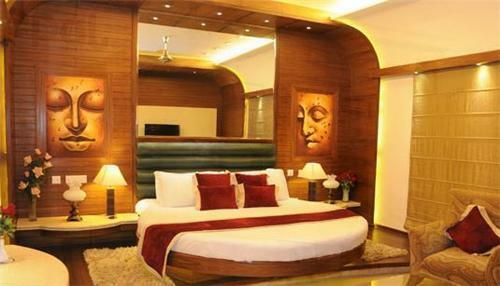 The rooms and the suites as also been categorized as per the smoking and no smoking zones as the choice of the guests. The people of city and the guests can also organize various functions such as the anniversaries, birthday parties, weddings and any other function in the hotel. The hotel also provides facilities for corporate companies and the business visitors to organize business meetings, workshops, conferences and other events. For this purpose, the hotel has 4 banquet halls which are named as ferns, Carnation, Gulmohar and Palm Garden. These banquet halls are different from each other in seating capacity and other matters so that the organizers may have lot of choices. Apart from the room service, the hotel also has two fantastic dining facilities in house which are known as the Daffodil and Tulips. Daffodil is one of the city’s premier and finest multi-cuisine dining destination. Here, the guests can enjoy an elaborate buffet spread or ala carte menu which has the signature dishes all around the world. Tulips is a contemporary and stylish Resto-bar which has world class sets and warm ambience to unwind after the hectic day. The hotel also has a swimming pool which is located on the 4th floor deck and provides a magnificent view of the city from above in a private setting. For the guests, who are regulars in gym, Bodyshapers which is located in hotel provides them their daily fix. Some other facilities in hotel are en-suite bathroom, writing table, free internet, electronic safe, Mini Bar, large LCD TV, high quality linen and thermostat control. The Hotel Sepal is located just 1 kilometer away from the Bus Stand and Railway Station. Also, it is just 20 kilometer away from Airport and located very close to the downtown area. The hotel Sepal, which was the first 3 star Hotel, approved by the Government and constructed in 1978. The area covered by the hotel is about 4 acres. The hotel has 42 rooms which are fully air-conditioned and has been categorized in different types such as Executive Rooms, Mini Suites, V.I.P. Deluxe, Honey Moon Suite and Presidential Suites. The hotel is noted for its banquet halls and Gardens where the people of Bathinda and visitors can organize various functions such as weddings, anniversaries, birthdays and other events. The hotel also provides business facilities for the visitors and corporate companies from small meetings to big business conferences. The names of Banquet halls are Signature, Windsor Palace and Cherish. The indoor Lounge includes the Elizabeth Lounge and Executive Lounge. The outdoor gardens include the Royal Gardens and Terrace Lounge where the hotel organizes the parties, wedding, exhibitions and conference as per the guest’s choice. 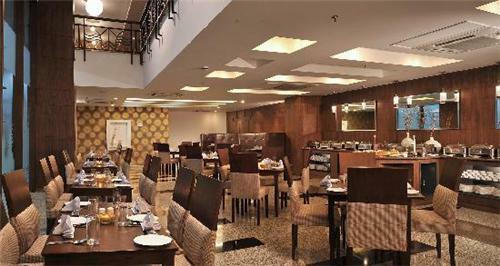 The hotel is famous for its dining facilities. In addition to the room service for the guests, the hotel has Zafran, which is a multi-cuisine restaurant and Hangover, a bar which serves exotic drinks to the guests who can unwind here with friends. In addition to that, the hotel has a coffee shop which is known as the Carnation. The hotel has health club and swimming pool for the guests who are staying in hotel. The hotel provides lot of facilities, which includes communication, business and personal amenities to the guests who are staying the hotel. It includes the LCD TVs, running water hot and cold, medical services, Currency exchange and travel desk. The business facilities include the Complementary Internet, fax and photocopier services and direct dialing services. The other services include electronics safe, laundry services etc. An important part of Vivek Mittal Hotels Pvt., LTd, Krishna International hotel is located at Bibiwala Road in Bathinda city. The hotel rooms are a mix of different types of rooms such as AC Deluxe, AC Super Deluxe, Non AC single and family rooms. The hotel also has some suites for the VIP guests. For the business and other types of functions, the hotel has some kitty and conference halls which are named as Aangan, Vrinda and Gopi and have different seating capacity. The name of the conference hall is Durbar. The name of Banquet hall is Rangoli and it has the seating capacity of 400 people at one time. For dining facilities, the hotel has a restaurant and a bar where the guests can unwind in the evening after a busy day in addition to room service. Some facilities which are provided by the hotel for the guests are electronic safe, laundry service, LCD TVs and internet.